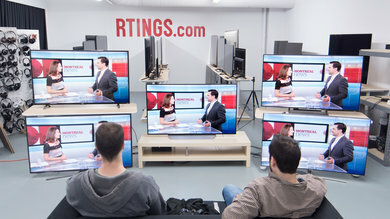 We've reviewed 45 LG TVs in the last 3 years. 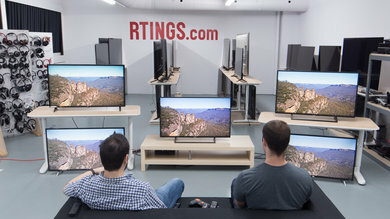 LG releases a lot of TVs every year, probably more than any other manufacturer. Most of them are inexpensive, but they rarely offer good value compared to their competition. 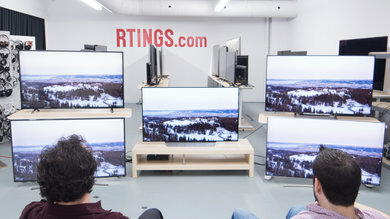 Over the past few years, LG has become known for their OLED and IPS LCD TVs. 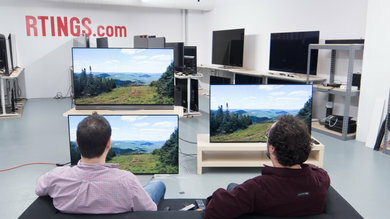 Their OLEDs are especially notable for being the first of their kind to be widely distributed. Great Viewing Angles. 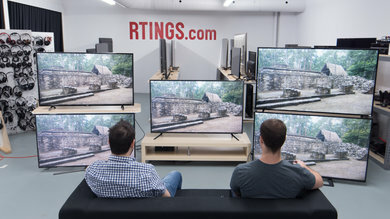 Both their LED and OLED TVs generally have excellent viewing angles. Great Smart Platform. WebOS 4.0 remains the best Smart platform in 2018. Poor Contrast. 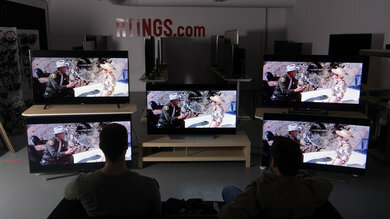 Except for their high-end OLED models, most LG TVs won't have great blacks and therefore average picture quality. Poor Gray Uniformity. 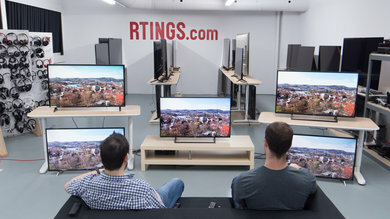 LG LED TVs often have worse than average gray uniformity. Poor Value. Their products are often weirdly placed in comparison to their competition and are consequently rarely recommended by us. 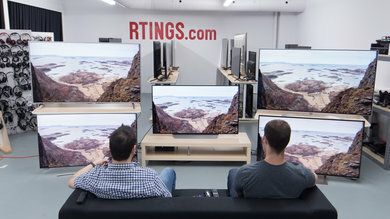 Samsung TVs will, on average, have a better picture quality than most LG TVs. This is mostly thanks to their use of VA type LCD instead of LG's IPS, which trades contrast directly in front for wider viewing angles. This, of course, doesn't apply to LG's OLED series of TVs, which are better than Samsung's offerings in almost every aspect. They do come at a definite price premium though compared to the mainstream Samsung models. 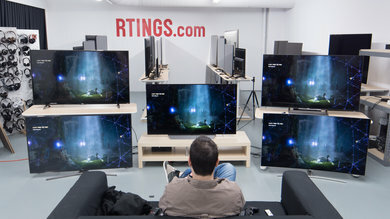 Sony doesn't offer as many models in their range, but it isn't any narrower than LG's since it is a bit more diverse. 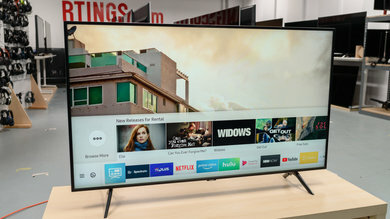 They offer both VA and IPS type LCD TVs, In 2018 Sony has released a few more very good OLED models. 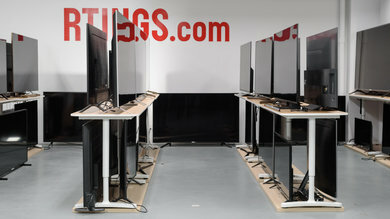 We've also found Sony's IPS TVs to usually have better screen uniformity compared to their LG counterparts. 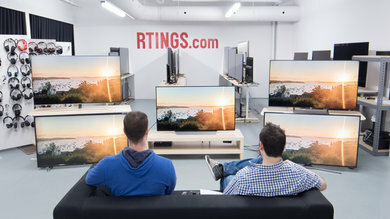 Most LG TVs, unfortunately, don't offer the best value. 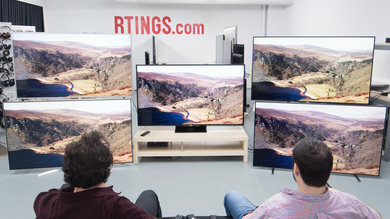 While their IPS LCD offerings offer great viewing angles which are useful for wider living rooms, they aren't the only ones in this space, and competition will often outperform them. 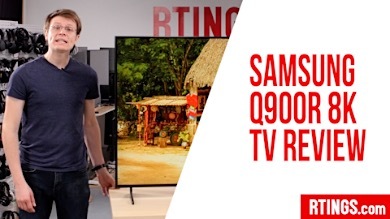 LG were the pioneers of OLED, and they still offer the best TVs on the market, but unfortunately, this isn't representative of their entire product range. 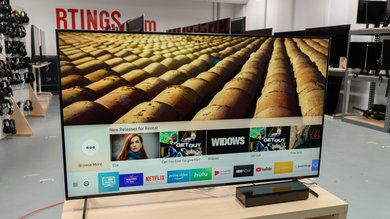 LG has a large lineup that covers everything from the very cheap and small lower resolution TVs to the very high end with their OLEDs. 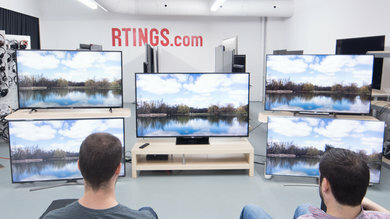 The first letter corresponds to the resolution of the TV, the second letter in their model numbers correspond to the year of release and usually, the higher the number, the higher the price range. L* = 1080p or below. 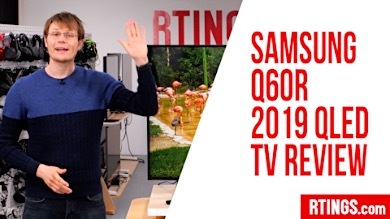 For their OLED line-up, the model numbers start with a letter (either B, C, E, G or W), followed by a number that represents the year (7 = 2017, 8 = 2018). 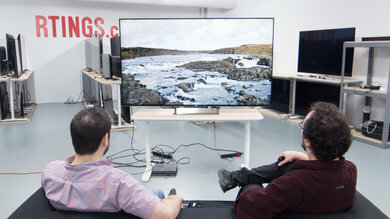 Sizes : 55" 65" 77"
The best LG TV we've reviewed is the C8 4k OLED TV. It has exceptional picture quality as it can display pure blacks. 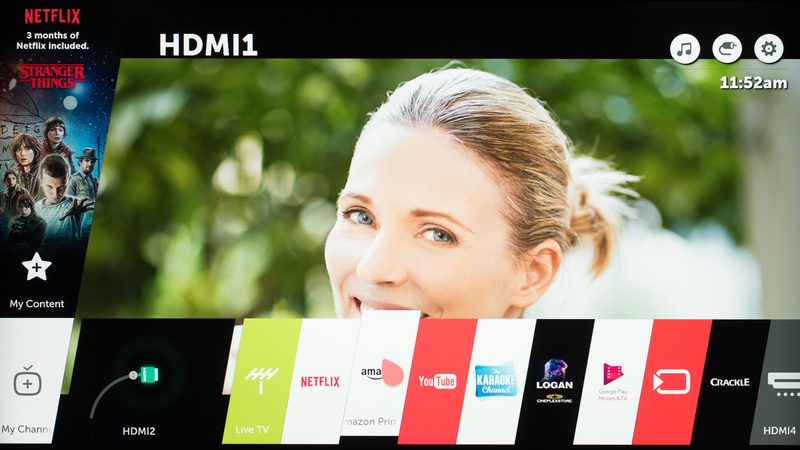 OLED TVs capability to shut off pixels individually gives them an effectively infinite contrast ratio. 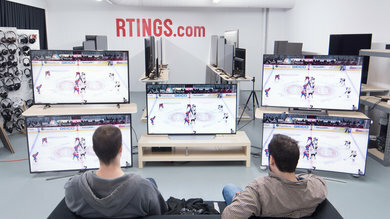 Pixels change instantly from one state to another, so moving objects do not have long trails following them, which makes sports watching an excellent experience. 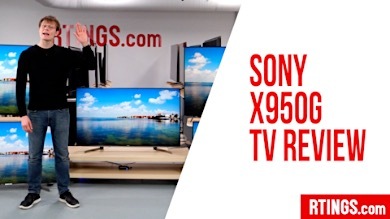 Viewing angles are excellent as well making this TV is especially good for wide rooms. All these goodies, combined with the updated WebOS 4.0 smart platform, make the C8 very difficult to beat. The LG B8 offers very similar performance and is usually cheaper. 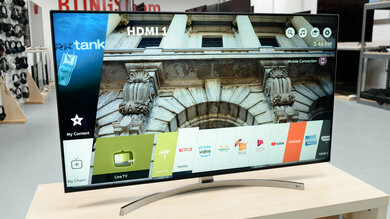 LG's best mid-range offering is the SK9000 LED Smart TV. It is equipped with an IPS panel and offers better than average viewing angles. It can get fairly bright and is suitable for bright rooms while at the same time offering a wide color gamut for HDR content. It runs LG WebOS 4.0 smart platform that gives you access to tons of apps on LG's app store making it unlikely not to find the app you want. 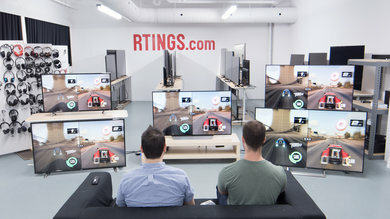 It has a low input lag to please gamers and a fast response time that makes it a good choice for sports fans. Unfortunately, the dark room performance is not great due to the poor contrast ratio that makes blacks look grey in a dark room. This does not make it a good choice for movie-watching oriented buyers. 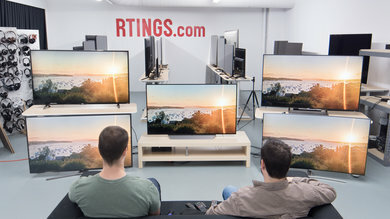 Sizes : 43" 49" 50" 55" 65"
The best budget LG TV is the UK6300 4k RGBW LCD TV which is the replacement of last year's UJ6300 It can't get as bright as the SK9000 and does not have a local dimming feature to improve the poor dark room performance.. 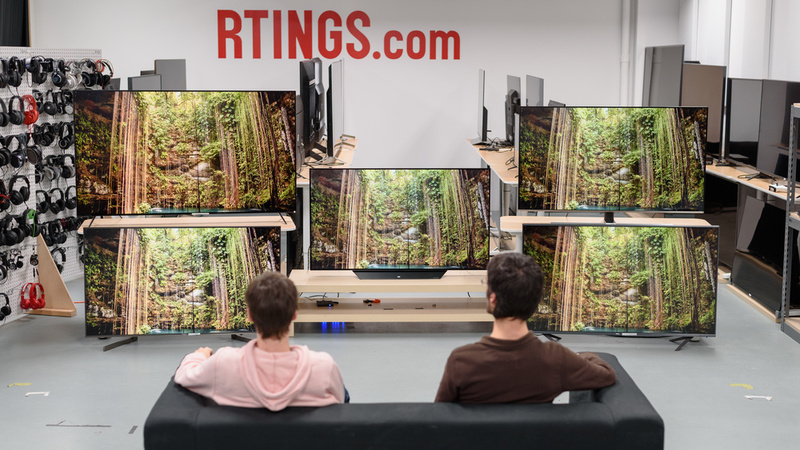 It has an IPS panel that gives it wide viewing angles so it works well for those with wider living rooms where sitting to the sides of the TV isn't uncommon. 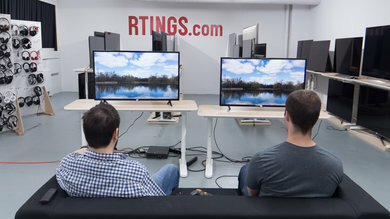 It has a low input lag like most LG TVs and a fast response time that leaves little motion blur, making it a decent choice for gamers or sports enthusiasts who are on a budget. 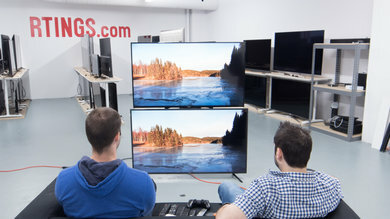 Unfortunately, the picture quality in a dark room is sub-par and does can not offer a good movie watching experience.You are better off watching this TV in a moderately bright room. 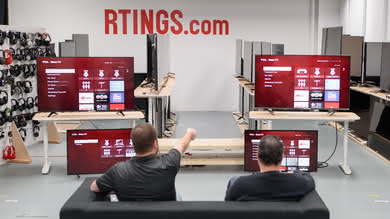 LG's WebOS smart platform hasn't changed much over the years, but that's quite a good thing. A few years ago, it was, by and large, the best solution. While competition has tightened up since then, incremental and polishing updates allowed it to remain at the top. While it is visually very similar to the version that first launched, it is a lot more stable and responsive and is probably the smart platform least prone to slowdowns. WebOS hasn't changed much since it was first introduced, but it is still one of the best looking platforms around. It is colorful, and its animations are both intuitive and beautiful. Everything feels responsive and snappy, and you are rarely left waiting for something to happen. 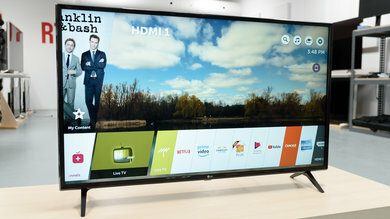 The main menu comes up when the TV is started or when you press the home button. Here you can find listed in the bottom every app you have installed. When pressing the home button, a few buttons appear at the top right. The first one brings you to an MP3 player, so you can listen to some music played on top of a slideshow. The second one leads you to inputs, and the last one gives you access to a few quick settings such as picture modes, aspect ratios and sound settings. Down that list of quick settings is how you access the advanced settings, where more picture settings can be found, as well as network, channel, and more advanced sound settings. WebOS has one glaring issue: the inclusion of advertising sprinkled around the operating system. While we've yet to see them on the main screen, they're just about everywhere else. Voice search, app store, web browser, all of them will sometimes show ads in their user interface. 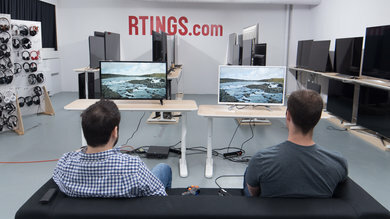 Worst is that there isn't a good way to disable them from within the TV itself. 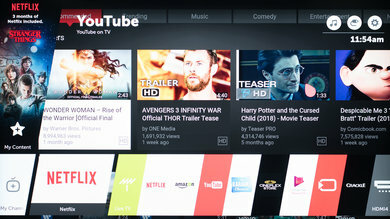 On the main screen, the tab at the far left, about 3 times as big as the other ones, shows the app that is currently in use. You can put your cursor to the left of the screen to scroll through your apps, and press and hold one of the tabs to move it around, in the order that you like. The LG content store delivers just about every app one would look for on a smart TV, as well as direct rental of films. 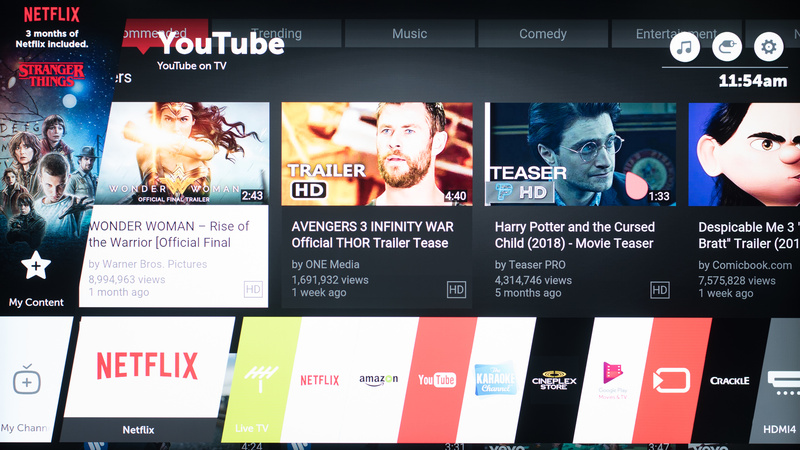 Essentials such as Netflix, Amazon video and Youtube are all installed by default, but the range is continuously expanding. 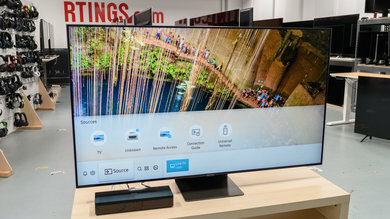 LG WebOS TVs support all major formats through USB playback, and they do so without any major bugs. 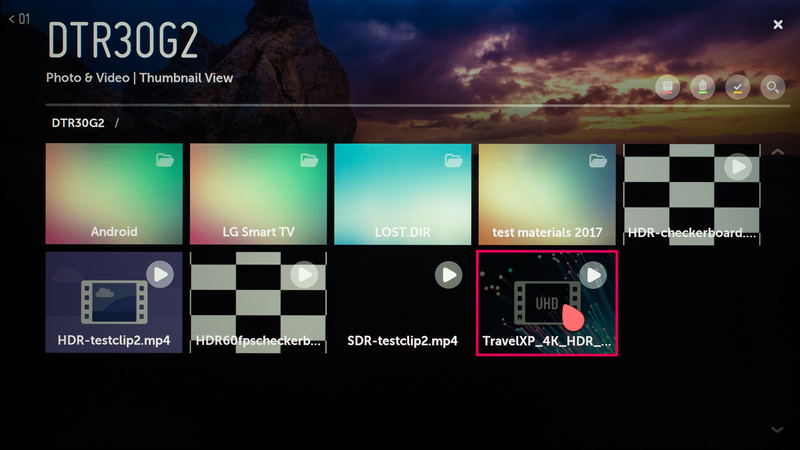 4k HDR files played nicely, even in more demanding encoding formats. 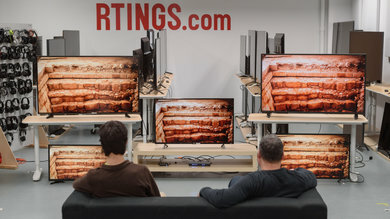 OLED models make for a great holiday picture viewing experience. 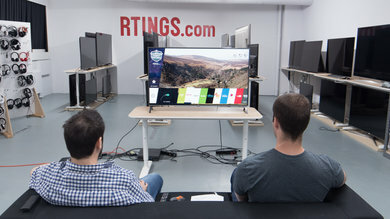 The web browsers found on smart TVs are used more often than we'd expect, and most of them offer a really poor experience compared to most other connected devices. All major streaming services offer good apps now, so their value is decreasing, causing them to stagnate a good amount. WebOS, while not being the best for raw performance, is definitely ahead of the pack for usability. It scores a meager 700 on the Peacekeeper test, but it passes HTML 5 support better than any other browser we've tested. What's most important though is the intuitiveness of the experience. Every other TV browser requires you to use the arrow keys on the remote to navigate your cursor, which is painfully slow and reminiscent of 15-year-old smartphones. 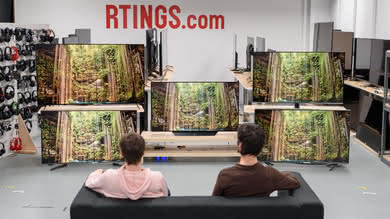 With LG WebOS TVs that use the magic remote, you can simply point the motion controlled remote where you want to click and navigate much more effectively. It's a totally different experience compared to competing platforms, and it is legitimately usable. 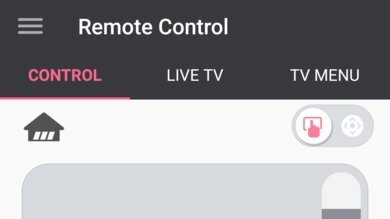 LG’s magic remote found on higher-end models offers motion-controlled point and click functionality, which makes navigating menus a lot simpler. It isn't the smallest remote we've seen, but it is nicely sculpted and very comfortable to hold. 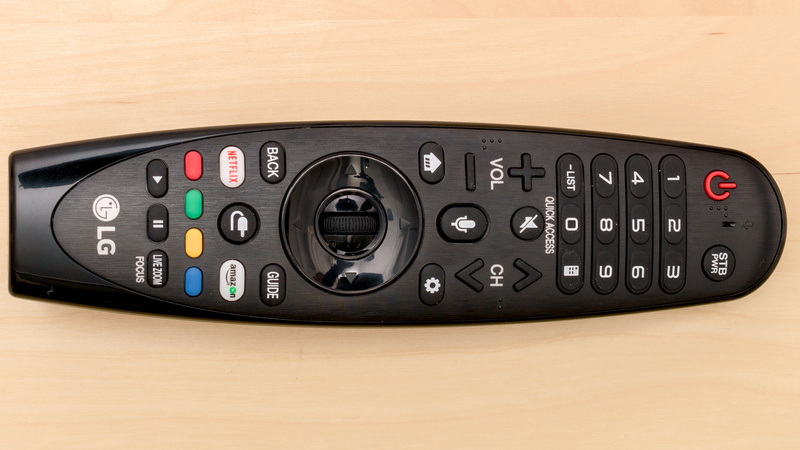 There are many more buttons on this remote than on Samsung’s, but they are clearly labeled and make it quicker to pick up the remote and use – no tutorial or manual required. It is a bit more plasticky than say, the new all metal remote found on Samsung's QLED TV or the metal-backed variant of the Sony remote, but it still feels solid in the hand. 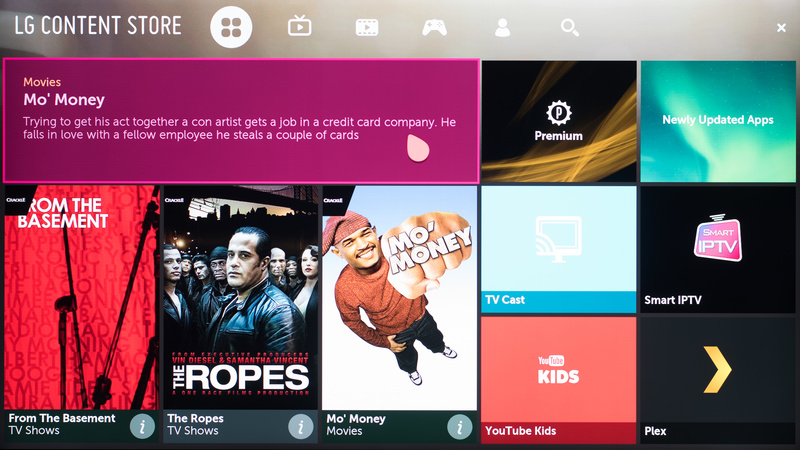 WebOS TVs that come with LG's "magic remote" have voice control. 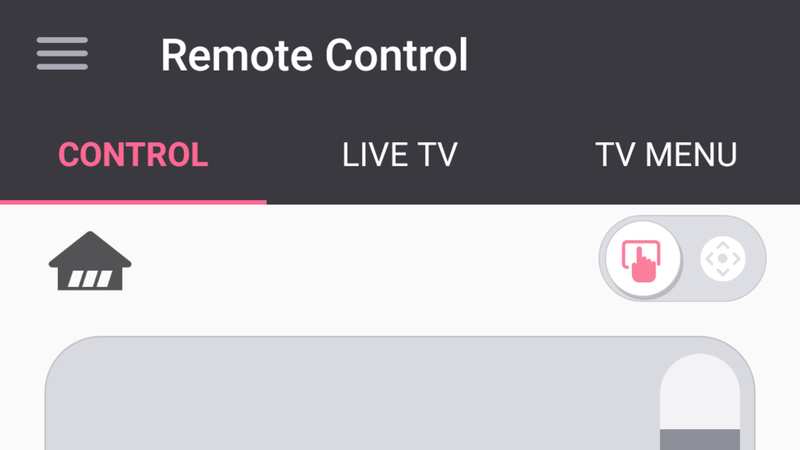 There's a big microphone button in the center of the remote that, once pressed, prompts the search interface. It's useful for searching for content since it goes through most of your apps and allows you to even search for actors. 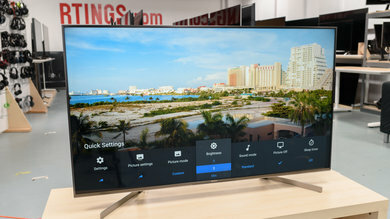 Unfortunately, though, it doesn't have very in-depth control of the settings, like what you find on Samsung TVs, so you can't adjust the brightness without leaving what you're watching. 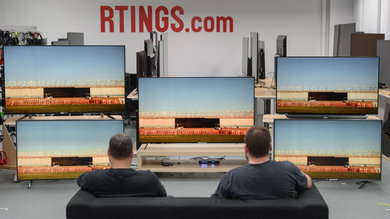 The only thing you can't really do is turn the TV off and adjust the volume. 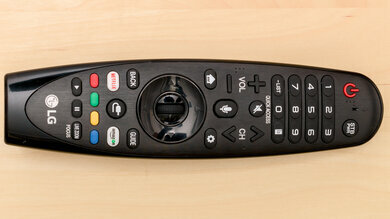 Another cool feature that comes with the microphone in the remote is the ability to tune the TV's speakers to you room. In sound settings, enable the "Magic Sound Tuning" feature and go through the calibration process. 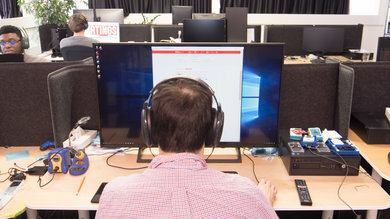 We've found that this feature measurably helped the sound quality, and it is definitely a notable feature. 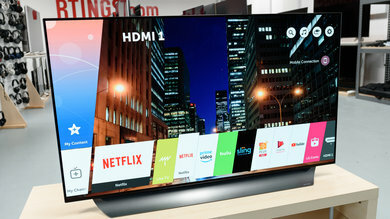 WebOS 4.0, included in the 2018 line of OLED and Super LED TVs added a new voice control processor with ThinQ AI. 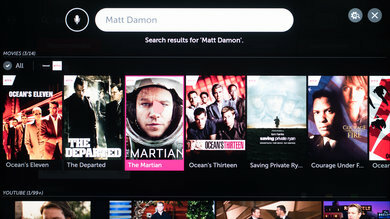 The system is able to perform advanced searches similar to Siri on the AppleTV. It can identify actors in movies, search for sports scores, even find pictures in your favorite cloud service based on keywords. It can also communicate with a multitude of smart home connected devices, including lights and thermostats. 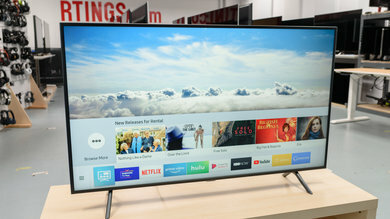 These new TVs are also able to interact with Google Home or Amazon Alexa connected personal assistants. LG’s remote app, called LG TV Plus, offers quick access to most of the TV's controls, and is compatible with all LG smart TVs. 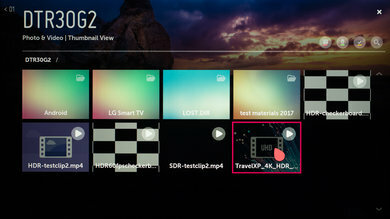 It isn't as advanced as some of the other remote apps, but it does stream content from your phone or tablet to the TV. 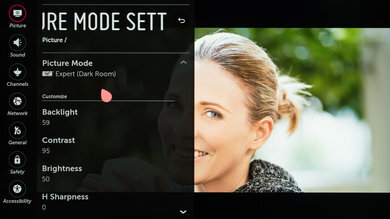 It can launch apps and change inputs directly, without having to use a navigation button to navigate the onscreen menus. 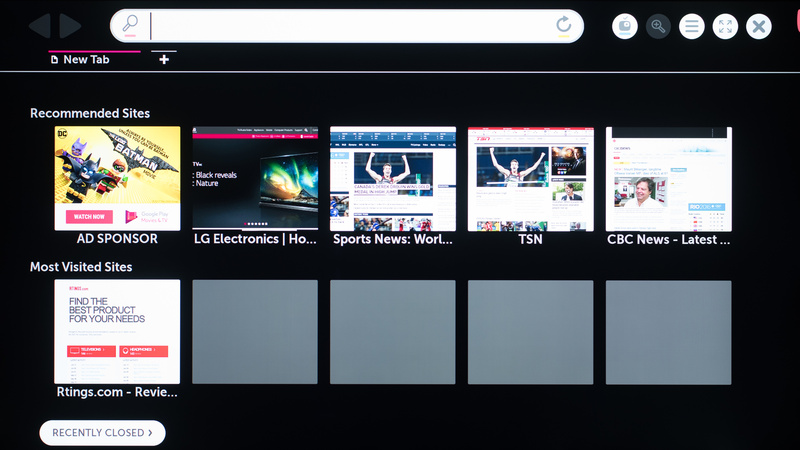 There aren't many issues with LG WebOS. The most recent version 4.0 release has some performance issues, with occasional hiccups and frequent dropped frames in animations. It is quite possible that most of these issues will be improved if not completely corrected in the coming months. 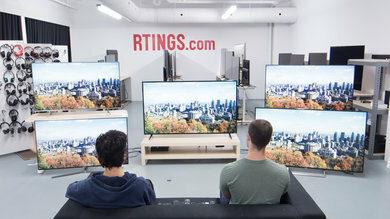 LG undeniably offers top shelf products with the OLED TVs. The technology is now quite mature and is quite definitely the best for most people. 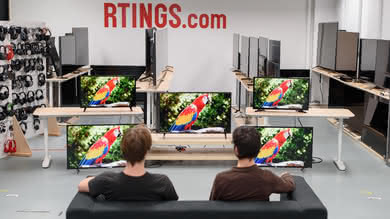 Unfortunately, these prowesses do not reflect the rest of their TV range. 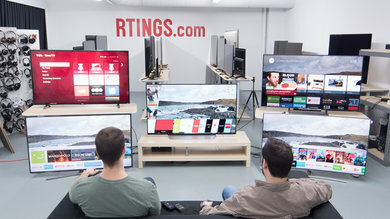 While every LG smart TV comes packaged with their excellent WebOS platform, the performance of the displays often leaves a lot to be desired. 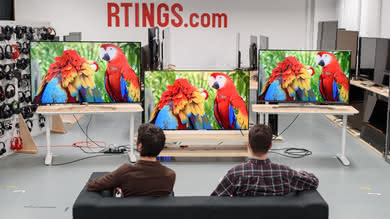 They do have consistently great viewing angles, but that comes to the cost of having mediocre picture quality in a dark room. Quite the opposite from their OLED offerings, some might say.